Undue stress has a negative effect on health and a net-negative effect on the workplace. Certified Employee Benefits Specialist Stephen Miller cited a number of studies around the effects of financial stress on the workplace in his 2016 SHRM report “Employees’ Financial Issues Affect Their Job Performance.” When employees are stressed, they are more likely to suffer fatigue and other ailments, resulting in sick days and decreased output. Research from the International Foundation of Employee Benefit Plans (IFEBP) found these five areas topped employees’ concerns: debt, retirement, children’s education expenses, basic living expenses, and medical costs. According to the National Financial Educators Council, the average U.S. citizen lacks basic financial knowledge required to make qualified financial decisions. The predicament has not gone unnoticed by employers who monitor closely the ebb and flow of production, especially the direct correlation between health and productivity. 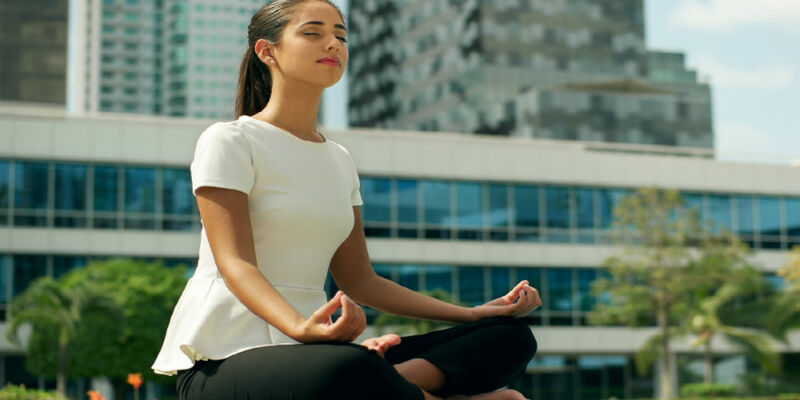 To offset the ill effects of financial stress on workers and productivity, the workplace trend has an increasing number of large- and mid-sized companies including financial education as part of their wellness benefits offerings. Carla Dearing, CEO of SUM180, labeled 2017 the year of financial wellness. Her sentiment is affirmed by many surveys, including one by the National Business Group on Health and Fidelity Investments reported in Forbes, which found employer-sponsored financial wellness programs up eight percent between 2016 and 2017. By all indications, the trend will continue to grow and evolve. As companies introduce financial wellness to employees, they will want to partner with credible providers that have proven track records without increasing their benefits costs. Unlike insurance and medical programs, there are a bevy of financial wellness programs available at no cost to the employer, most of which are offered by financial institutions that have a staff of subject-matter experts. Drexel University in Philadelphia employs about 5,000 people with a diverse demographic background. Wellness Administrator Monica Fauble said Drexel’s wellness program focuses on physical, financial, and emotional well-being. “We want to offer an integrated experience of health and well-being at work,” she said. Franklin Mint Federal Credit Union responded to Drexel’s desire to partner with a financial institution that could tailor education to employees’ needs. “Drexel chose to partner with FMFCU because we already had a turnkey suite of educational courses aimed at a variety of income levels and easily customizable,” Stanley said. Choosing the right program begins with accumulating feedback from employees. Get started by conversing with or surveying employees, and research similar organizations to learn what has worked best for them. Most employers find their employees will attend a class or workshop if they find the topic relevant. Convenience also affects attendance. Although Fauble prefers employees take a break from their workstations, Drexel offers programs in a live setting, often incorporating lunch, and also through livestreams and video archives. Fauble works with FMFCU’s Community Education Division to identify topics that appeal most to employees. She and Beth Manley, FMFCU Adult Education Manager, said the most popular topics are Budgeting, Credit, Social Security, and Fraud Prevention. Even though Franklin Mint Federal Credit Union offers financial education at no cost, employers want to measure the return on the investment of time made by all involved. “The fact that we get requests to return and repeat lessons and offer follow up programs speaks volumes,” Manley said. While a small percentage of organizations incentivize employees to attend workshops, most find that employees crave financial education. Fauble finds that Drexel employees not only appreciate it, but they also talk it up to coworkers, resulting in increased attendance and requests for additional workshops. “I see the visible impact, and employees self-report that they are able to apply the knowledge they receive in these workshops. This helps employees lower their overall stress, perform better at work, and feel cared for by their employer,” she said. Happy to share the strides they make, employees tell Fauble about their financial achievements. Fauble also distributes surveys to analyze the workshops, gauge success, and steer future offerings. As benefits enrollment time approaches and employers continue to take a holistic approach to well-being, it is clear financial fitness is more than a trend.